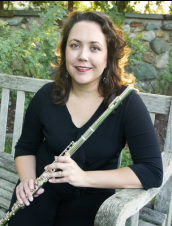 Founding member of Gentle Winds Trio, Dianne has been teaching flute privately for over twenty-five years. In addition to teaching, Dianne volunteers her musical talents and much of her time at her church. She also enjoys working with the flutes of Warsaw Community High School, and is the wife of Band Director, Mickey Ratliff. Dianne and Mickey have two sons, Dylan and Lennon. Dawn joined the trio in 2000, and also serves as manager of Gentle Winds Trio. For over fifteen years, Dawn has performed and taught music in the Warsaw area. She continues to maintain an in-home music studio, teaching primarily flute and beginner piano. Dawn regularly performs with Wagon Wheel Theatre’s pit orchestra and Symphony of the Lakes. She also works for Warsaw Community Schools as a substitute teacher. 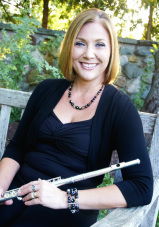 In 2012, she formed a community flute choir for amateur flute lovers of all ages. Dawn and her husband Joshua are raising three children, Katharine, Renée, and Kurt. Gentle Winds Trio’s newest member, has been playing the cello since she was 13. Following college, she worked as a cellist playing in the New Orleans Philharmonic. After moving to the DC area with her husband in 1976, she free-lanced part time while she raised 4 children--2 of whom she home-schooled through high school. 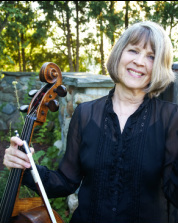 Since moving to Indiana in 2005, Mary Jeane has played with the Symphony of the Lakes and performed on CPAF’s Second Sunday Series concerts.